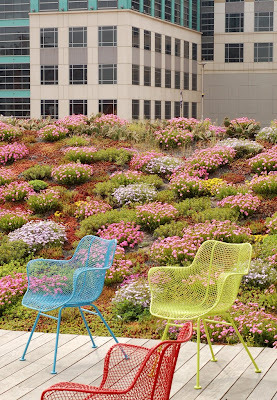 I heard recently of a conversation where one person said that green roofs are dead. I'm guessing the person that said this either had tongue planted firmly in cheek, or was sadly misinformed. Our awe and excitement has transformed itself into innovation and adoption on a wide scale. 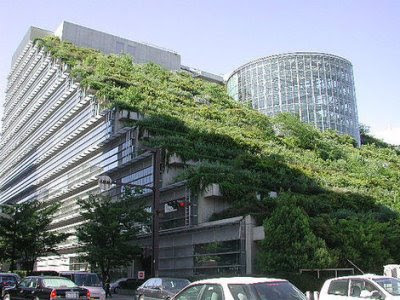 While living walls are definitely the vegitectural hero du jour, the green roof in all of it's incarnations will be around a long while. Dwell started with mentioning the growth of the industry, and a number of the incentives and grant programs that municipalities are bringing to create more projects, faster. 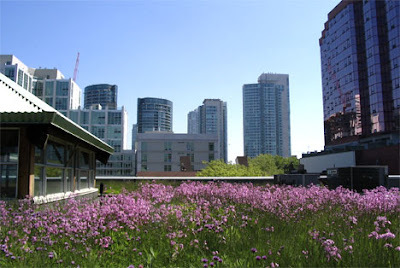 The earliest and most robust is Chicago, which started doling out grants in 2005, and the results have paid off - with by far the greatest percentage of planted rooftops in North America. I've mentioned our new plan in Portland, and it seems Washington DC and New York both have programs in the works. Still, we have a long way to catch up to Germany... or Japan even. Dwell mentions again the popularity of green roofs, with a GRHC study showing 2.4 million square feet planted between 2006-7. 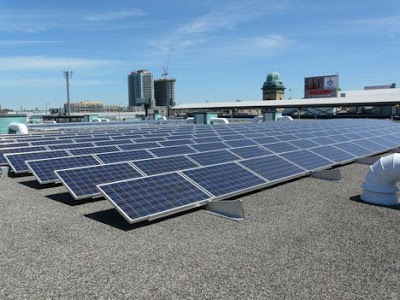 It was interesting in the article featuring The Wild Project and the install techiques of green roof specialist Marni Horwitz of Alive Structures, that the project used ELT, a tray system. I'm not sure if you all are aware of my disdain for prefab systems - and she also used Styrofoam additive which is definitely a light but questionable choice. Perhaps it's just that when you specialize, you become a specialist, not necessarily an expert? I definitely will poke around the site and see if anything turns up. An upcoming book release (September 2008) everyone should be excited about 'Green Roofs in Sustainable Landscape Design' by Steven L. Cantor. I remember showing Steven a couple of Portland rooftops in 2004 during the Green Roof Conference in Portland, and he mentioned this book. 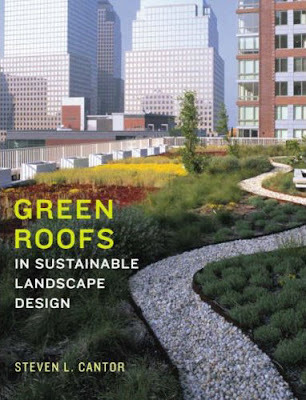 With the dearth of green roof literature out there (but growing slowly) this will be a welcome addition to any library. As always, I will try to get an advanced copy and give everyone a sneak peek. Treehugger is always good for some snippets about green roofs, and their article about the new green roof accessory, bees, was no exception. The post mentions the Fairmount York Hotel in Toronto, "...where Chef David Garcelon grows herbs and vegetables. Now he has added bees." Via the Globe and Mail: "The only other place that's brought bees to such heights is the Paris opera house," Royal York spokeswoman Melanie Coates told Anthony Reinhart of the Globe and Mail. 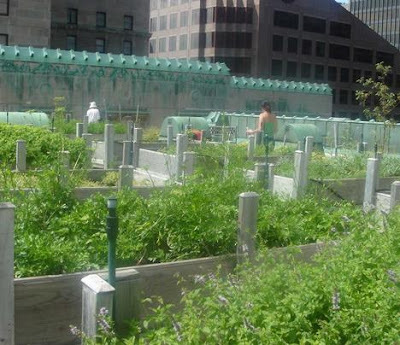 He writes that Chef Garcelon came up with the idea last summer, when he noticed a multitude of bees buzzing around the herbs, vegetables and edible flowers in the raised wooden beds of the hotel's 10-year-old rooftop garden. He evidently has "visions of fresh honey dripping into his salad dressings, soups, pastries and countless other creations." A couple from the huh? department. 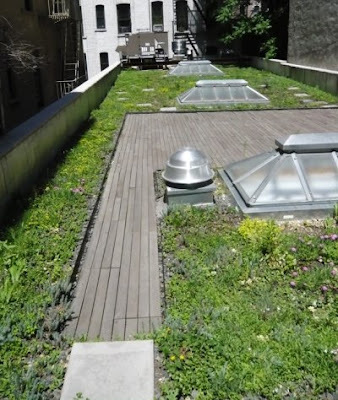 First, I just love the title of this article from World Architecture News (WAN) - 'The American Society of Landscape Architects builds a green roof for others to emulate'. OK, I've said it before, and I'll say it again (and I know it's heretical). It's a beautiful and successful project. It's a boon to the profession of landscape architecture and ASLA. But it is NOT, I repeat, NOT something for others to emulate. If we're using this as the pinnacle/exemplar for green roof adoption (not just as a great one off project) with it's enormous price tag - we're all doomed. Marketing it that was is just plain wrong. There were some follow-up images of some great projects, including one of my favorites, the Mountain Equipment Co-op store with it's wildflowery roof. Finally, I've been remiss in reviewing the innagural copy of the Living Architecture Monitor from Green Roofs for Healthy Cities. Caroline from GRHC was kind enough to send me a copy, and coming soon will be my take on the content of this almost singular resource for building greening. Yikes there's a new issue out - and now I'm really behind... Caroline!!! Regarding beehives on City Hall in Chicago, I can confirm their existence as I have had the opportunity to work with the beekeeper on those very hives. 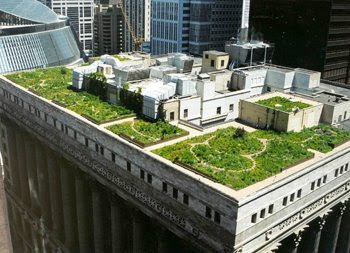 There are two on City Hall and last year 4 more were added to the green roof on the Chicago Cultural Center.